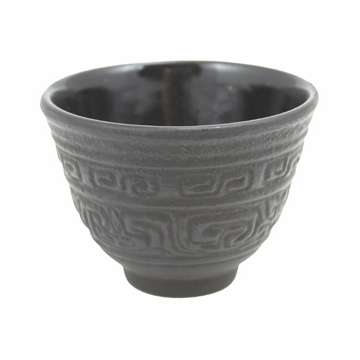 This high quality shogun design cast iron teacup is perfect for enjoying tea. 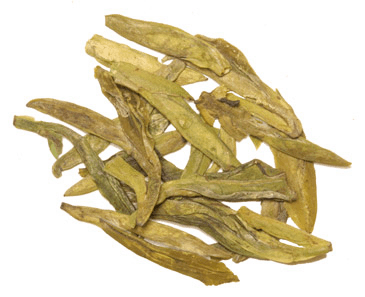 It can also serve as a great companion for any cast iron teapots (tetsubin). This classical teacup is made from sturdy iron and has enamel coating on the interior to prevent rusting. 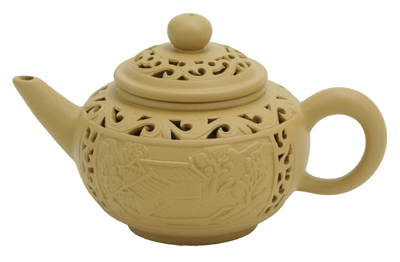 Cast ironware heats evenly and retains heat well and is praised worldwide for their beauty, strength, and superb quality. My daughter had purchased an iron teapot locally. I bought her two of these, and a trivet for Christmas. 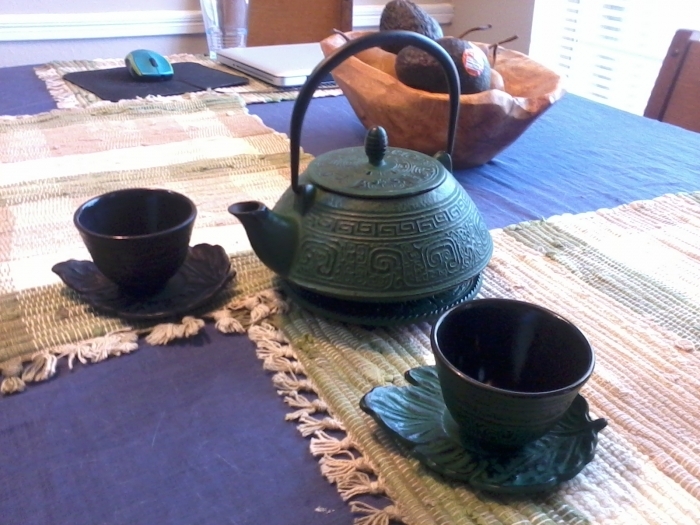 They are solid, well made, and look amazing with the teapot, even though it is not solid black. She really likes them!! I've had these cups, and the rest of the matching set, for over five years now. The enamel survived life in four states - and part of that trip was getting flown into and out of the Alaskan bush. It wasn't until my husband accidentally knocked the stack from the cabinet that any of the enamel chipped. I'm actually quite impressed, which is why I will be coming back to this site on payday to replace them. When you're using them, I do recommend getting a matching saucer as well. The cups get quite hot. I use the leaf pattern with mine, and not only does it look nice, but it saves both your hand and your table from the heat! The order came in early and the cups look awesome and very sturdy! Can't wait to use them! Nice for looks, small for people that drink tea all the time. They get hot and are quite heavy for a little cups. I would still recommend buying them so you have the whole set.